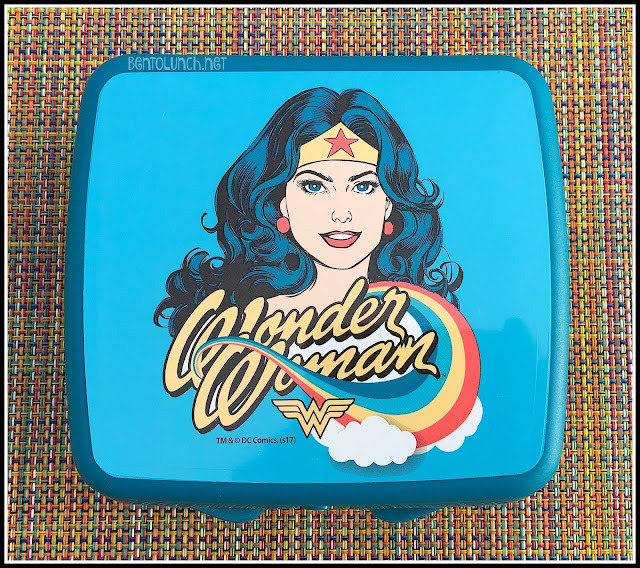 Since every new box needs to be used, I made a quick lunch for the girl in this one. I wasn't positive the boy would want to use a Wonder Woman lunchbox, nor does it old anywhere near the amount of food he requires on a daily basis. In this lunch, I made a turkey and cheese sandwich on everything sandwich rounds. The seasoning is pretty much like an everything bagel and it's so good! Because it's a sandwich box, I cut the sandwich in half and stacked each half on top of each other so I had room for some other food. 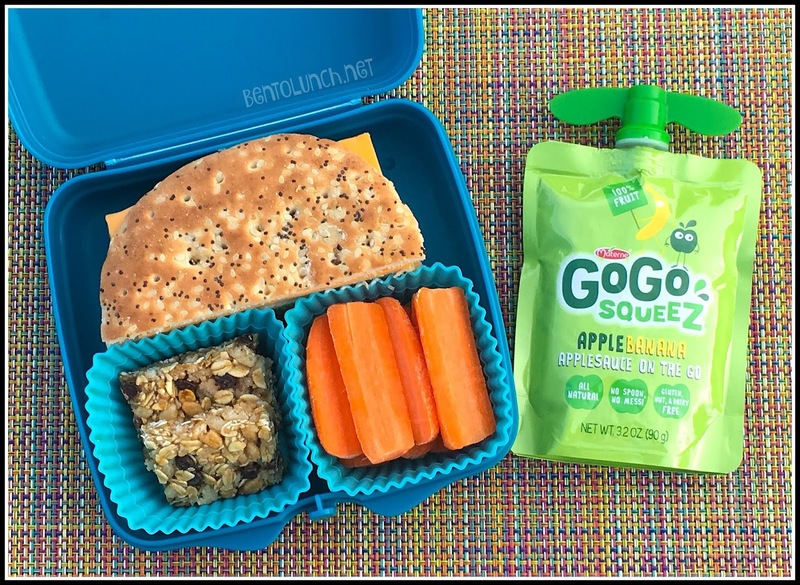 I used two square silicone cups to divide the bottom part and added carrot to one and granola bar bites to the other. Since it wasn't a huge lunch, I used some of the applesauce pouches I had leftover from our last road trip for an extra snack.